I was born and brought up in East Anglia. As the youngest of three daughters we moved several times due to my father’s work, before finally settling in Sudbury where I went to school. Following on from school I trained as a nurse, and on completion of training I worked in several specialities. I married Keith in 1983 and we have two children, one is at university and the other is at an agricultural college near Norwich. Since my marriage I have always lived in the country and have enjoyed living in a close community. After having my children I went back to work on the cardiac unit of the local district hospital. As my children became older I decided to broaden my career by studying for my specialist practice nursing degree, specialising in cardiac nursing. This has enabled me to progress in my career at the hospital and to now run nurse led clinics for certain specialists heart tests. In 2002 Keith suffered a heart attack, and I was able to be ‘‘on the other side of the fence’’. It is very different from my usual position. After going to rehab at the hospital Keith and I joined Upbeat. About two years ago I became a cardiac adviser for Upbeat, I felt that I was in a unique position as not only was I a cardiac nurse; I was living with somebody with heart disease and could relate to potential situations of fellow members. 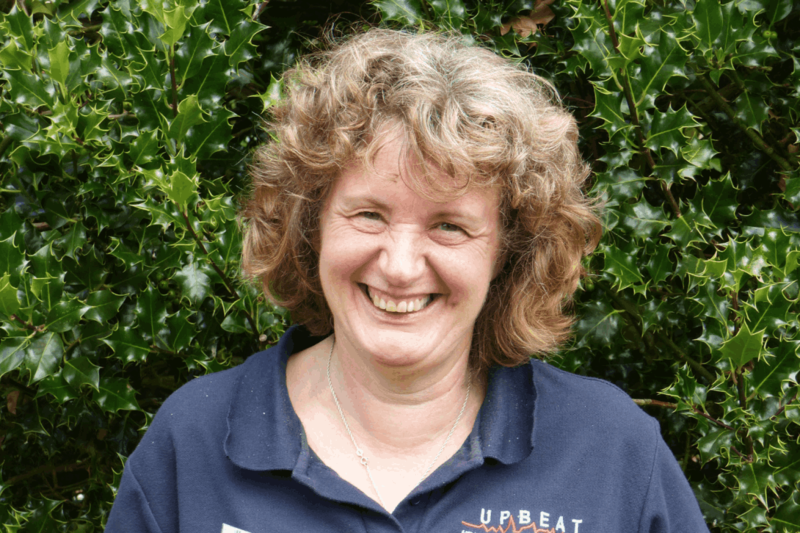 Being a member and working as a cardiac Adviser for Upbeat has been a very rewarding experience for me, I have met many interesting people and made many new friends, and I have benefited from all the support that Upbeat provides to both members and helpers alike.